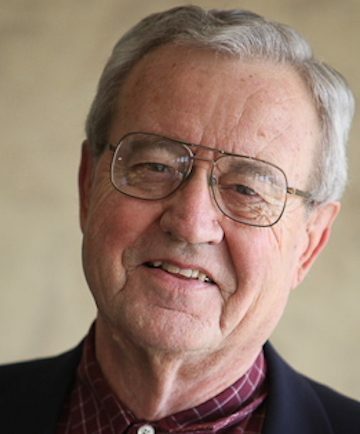 Dallas Willard was Professor in the School of Philosophy at the University of Southern California in Los Angeles from 1965 to 2012. He was Director of the School of Philosophy from 1982-1985. He also taught at the University of Wisconsin (Madison, 1960-1965), and held visiting appointments at UCLA (1969) and the University of Colorado (1984). His undergraduate studies were at William Jewell College, Tennessee Temple College (B.A., Psychology) and Baylor University (B.A., Philosophy and Religion); and his Graduate education was at Baylor University and the University of Wisconsin (Ph. D., Philosophy, Minor: History of Science). His philosophical publications are mainly in the areas of epistemology, the philosophy of mind and of logic, and on the philosophy of Edmund Husserl, including extensive translations of Husserl’s early writings from German into English. His English translation and edition of Edmund Husserl’s Philosophy of Arithmetic was released in September, 2003. His Logic and the Objectivity of Knowledge, a study of Husserl’s early philosophy, appeared in 1984, and his Early Writings in the Philosophy of Logic and Mathematics (1993) makes available to the English reader nearly all of the shorter philosophical works that Husserl produced on the way to the phenomenological breakthrough recorded in his Logical Investigations of 1900-1901. Willard also lectured and published in religion. His books include, In Search of Guidance (1984); The Spirit of the Disciplines (1988); The Divine Conspiracy (1998); Hearing God (1999); Renovation of the Heart (2002); The Great Omission (2006); and Knowing Christ Today (2009). He served on the boards of the C.S. Lewis Foundation and Biola University, and was a member of numerous evaluation committees for the Western Association of Schools and Colleges (accreditation). His academic honors include ALPHA LAMBDA DELTA National Honor Society, Initiation 1991; Lecturer in Corsi Estivi Internazionali di Filosofia, Bozen, Italy, 1990; PHI KAPPA PHI National Honor Society, Initiation in 1990; USC Student Senate Award for Outstanding Faculty of the Year, 1984; Faculty participant in the COLLEGIUM PHAENOMENOLOGICUM at Monteripido (Perugia, Italy), 1977; USC Associates Award for Excellence in Teaching, 1976-1977; and Recipient (1976) of Blue Key National Honor Fraternity’s “Outstanding Faculty Member” award for outstanding contributions to student life at USC Danforth Associate 1967-1975.